Traffic officers – who are we and what do we do? In the news today you may have seen the harrowing footage of a fatal traffic collision which claimed the life of a woman in Birmingham last year. While the footage is very difficult to watch it emphasises the tragic consequences that speeding on our roads can have. Sadly it was one of many fatal collisions we have attended in the last year and we want to use this page to highlight the dangers of unsafe driving. Through this blog we also want to throw the spotlight on the work of our unit and what we are doing every day to improve safety on our roads. We’ll also examine all the ins and outs of traffic officers and provide you with advice for driving on the West Midlands road network. We already have a very successful, well followed and interactive Twitter account – @Trafficwmp – which goes from strength to strength. So why have a blog? Well it all originated when I found myself tweeting “there’s only so much you can do with 140 characters”, in reply to a somewhat complex enquiry that had emanated from one of my tweets. Twitter is the social media equivalent to shouting a quick message to someone across the street; it’s great for sound bites, pictures, and engaging with those who otherwise would not encounter you on a day to day basis. But alas, those same sound bites, pictures and engagements can be misinterpreted, misunderstood and due to the limited amount of information contained can lead to frustration on behalf of the recipient. It’s hard to explain our motivations, methodology and practices in bursts of 140 characters. So we have decided to write an informal, occasional blog, which unlike the social media “shout across the street” is the equivalent to sitting down with us, with coffee and cake, and having a good old natter, which hopefully should leave you more understanding of the force’s Traffic department, including our intentions and methods, and give you a greater insight into who we are and what we do. We want our blog, like our Twitter account, to be interactive. The blog will complement our Twitter account and give you an opportunity to interact with us and hopefully dispel a large amount of the “urban myths” that surround what we do. It will expand on topics you are concerned with and interested in, taking a lead from our Twitter account, so if you have a tweet, subject or interest you would like us to expand on, just tweet us, or message us and let us know. We will also cover national campaigns, traffic-related topics dominating the local and national news, and maybe the odd “off the wall” leftfield topic that may interest us! So in the coming weeks and months we will give you our thoughts and tales on the obvious subjects like mobile phone use while driving, speeding, street racing, drink/drug driving and off road bikes. Then there will be the not so obvious subjects such as cycling helmets, the role of the Family Liaison Officer (FLO), why we may occasionally exceed the speed limit without our lights and sirens on, and what do all those buttons and lights in our cars actually do? And there will also be the “odd” stuff such as who offends and why, what are our pet hates, the best ever excuses for offences, how to survive a rotating shift pattern and maybe even the occasional mention of gaffes, goofs and the odd strange occurrence! Oh and not forgetting that if I’m the author there might be mention of the odd bit of cake and cycling to boot! Just to ease ourselves in gently and not cause too much controversy or alarm we will, in this first edition of our blog, discuss who we are and what we do…. An odd bunch, traffic officers, a collection of all sorts really. Most were drawn to the department due to their proactive policing style and a desire to help stop the minority who cause suffering and misery on our roads. We certainly cannot be described as the happy smiley face of policing. After all, we are not noted for stopping people and congratulating them on their good driving, and we bear witness to all the evils of the road, and their inevitable tragic consequences. An interaction with a traffic officer is usually one you will remember for all the wrong reasons, whether it be points on your licence or a fateful knock at the door to give bad news about a loved one. If you do have the misfortune to interact with us at the roadside we will greet you with a smile and try to make the event as painless as can be. Advice and education will always be our preferred outcome, but, if you give us reason to put pen to paper it’s not going to be the highlight of your day. You will see us smile broadly though when a dangerous driver or an uninsured/dangerous vehicle is taken from the road or as a drug dealer’s or burglar’s driving licence disappears into the big dark hole of disqualification. 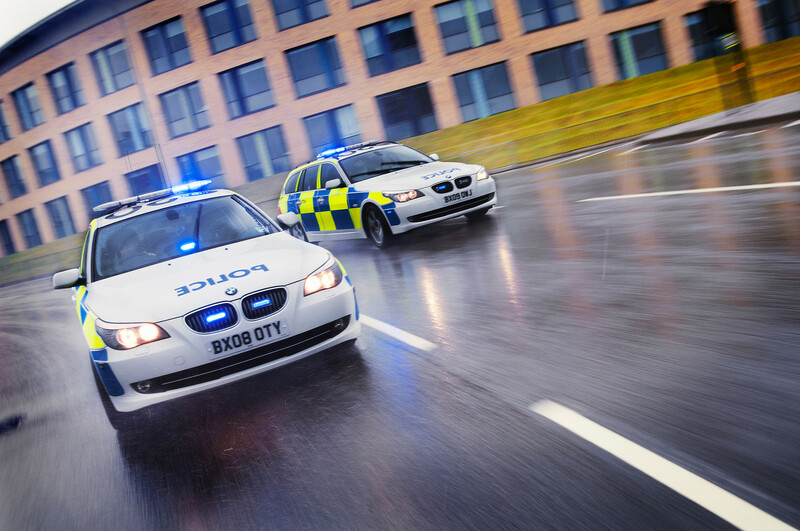 We work under the umbrella of the West Midlands Police Operations Department, which essentially means we are continually tasked to differing parts of the West Midlands on a needs basis. So one day we might be in Wolverhampton targeting a known criminal, the next we could be in Coventry conducting a speed check. Our two main priorities are firstly denying criminals the use of the road, and secondly the reduction of killed and seriously injured collisions. Denying criminals the use of the road means we will do everything we can to disrupt their offending, either by catching them in the act or negating their use of the road by enforcement of traffic offences. It is mostly intelligence-lead with Automatic Number Plate Recogntion (ANPR) playing a vital role. We try to reduce the number of killed or seriously injured collisions by education and enforcement, concentrating on the “Fatal 4”: driving while using a mobile phone, not wearing a seatbelt, drink/drug driving and speeding. Now I realise that in the last three paragraphs I may have gone a little corporate so let me just summarise. Traffic officer = Officer with a proactive attitude towards policing, equipped with high performance vehicles and lots of technology, who likes nothing more than giving criminals and those who use the roads with no thought of others safety their just deserts. There, I hope that’s better! As well as our driving and riding qualifications we are also equipped with vehicle examination, carriage of dangerous goods and tachograph qualifications to ensure that no opportunity is missed to fulfil our policing priorities. That’s it for now. Remember this blog is interactive, so if you have a burning issue you want our opinion on, or a how, why or where about anything we do, that can’t be answered in 140 characters or less via our Twitter account, just let us know, and if we can blog about it, we will. We will also hopefully have different authors from all ranks, just to give a different angle and keep it fresh. This entry was posted in Traffic Blog on September 16, 2014 by pchodson.